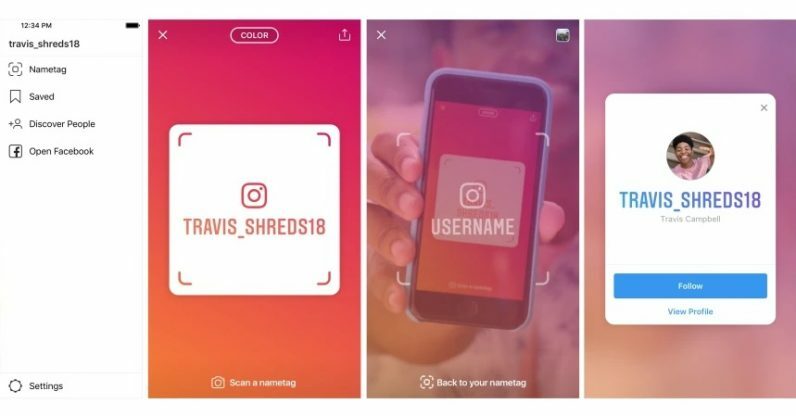 Instagram today revealed it’s introducing nametags, a scannable calling card you can use to find and follow people you meet in the flesh on Instagram, without any of the hassle of searching. The feature looks very much like it’s built to appeal to Instagram‘s core demographic of cool young people — you know, the sort who have grown up stalking each other on social media. Looking at a new friend’s carefully curated Instagram profile has, for some, become as integral a part of getting to know each other as the handshake. Nametags expedites the procedure by making it so you don’t actually have to remember the other person’s name or look for photos cross-posted to their Twitter or Facebook profiles. It’s not the only new youth-friendly move from the company. Alongside the nametags, Instagram is also adding a feature that lets you list the name of your college, as well as your degree and graduation year. Doing so adds you to a group which lets you find other people who are in your year at that school. Instagram is currently testing the feature in certain US schools. I can really only see this being of use to current students, to be honest. No offense to my old college acquaintances, but if I haven’t kept you on with semi-regular communications, we probably weren’t close enough to make a renewal of contact that interesting. But current college students will have yet another way of finding and getting to know each other.